Kim Kardashian is breaking her silence on Tristan Thompson cheating on her sister, Khloe Kardashian, days before she gave birth to their first child, daughter True. 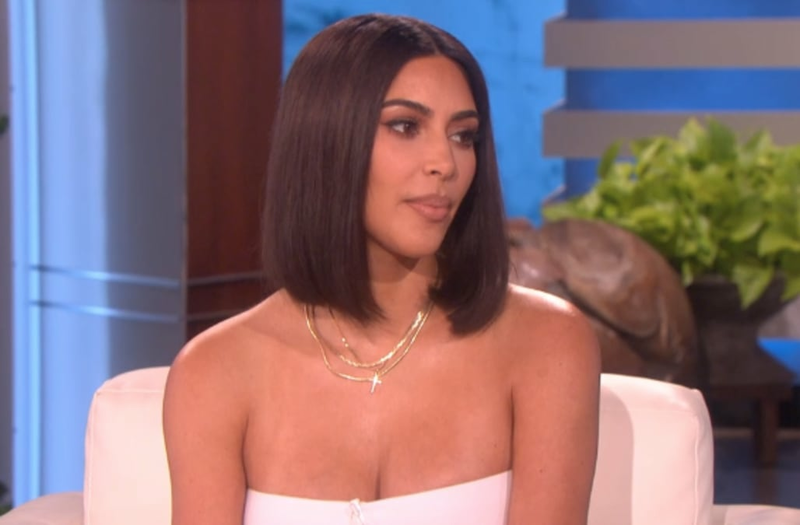 In a sneak peek for an upcoming appearance on "The Ellen DeGeneres Show," Kim addressed Thompson's cheating for the first time in public, calling his infidelity "so f--ked up." "Poor Khloe," Kim said. "Like, I don't even know how to describe it besides just it's so f--ked up." "We really were rooting for Khloe," she continued. "And we still are, you know? She's so strong, and she's doing the best that she can. It's a really sad situation all over. I kind of made this rule with my brother, if there's a baby involved, I'm not gonna talk. I'm going to keep it cute and keep it classy, and not talk too bad -- I'm not going to try to say anything too negative, because one day True is going to see this, and it's just so messed up." Kim's appearance on "Ellen" comes two weeks after sister Khloe welcomed her first child amid a cheating scandal that shocked the world. Days before she welcomed daughter, True, into the world, multiple videos emerged of her NBA star boyfriend cheating on her during their relationship. One of the clips came from the weekend before she gave birth, while another surfaced from October, indicating that Thompson's infidelity to his girlfriend was routine. Sources say that Khloe is still at home with her newborn in Cleveland, and it's unclear whether or not she plans on staying with Thompson after he was caught cheating on her. FBF to one of my favorite days with all of my favorite people... my surprise party 🎉 man, everyone was sooooo good at keeping that secret! Hrush, Jen and Tristan were so calm, cool and collected during glam 👀 I need to watch you sneaks lol That was such an epic night!